Enjoy wet shaving even when you travel. 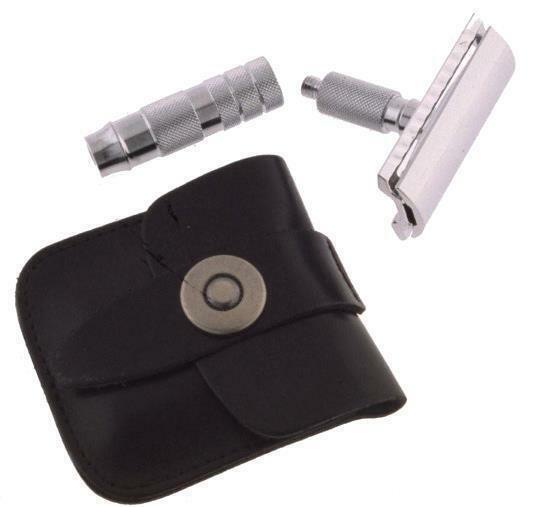 This regular size Merkur travel razor breaks down to fit inside a tiny black leather case. The safety bar keeps the blade away from your skin, yet positions it close enough to get a smooth, close, comfortable shave..